With this knowledge of the complex network of genes the researchers now hope to stop colon cancer by activating special anti-cancer genes. The intestines have to work properly if we are to benefit from the food we eat. Digestive juices must be secreted, the food broken down into smaller components and then transported through the gut wall and onwards to muscles and organs. The lining of the gut is coated in epithelial cells, a specialised layer that produces mucous and hormones while keeping dangerous bacteria and toxins at bay. Close contact with pathogenic microbes and toxins means that the epithelial cells may mutate to form cancer. The small intestine therefore secretes the entire epithelial layer in the course of two to five days, while the large intestine takes three weeks to perform the same process. A triggered CDX2 gene tells a cell that it is located in the epithelial tissue of the intestine and thus enables the cell to do its job correctly. Associate Professor Jesper Troelsen and colleagues from the University of Copenhagen made this discovery several years ago: CDX2 may thus be regarded as an identity gene. Using advanced equipment for DNA sequestration at the Department of Cellular and Molecular Medicine the research group has now revealed that CDX2 controls more than 600 other genes governing the way the cells of the intestinal epithelial tissue work, ensuring that the intestine functions properly. The discovery has now been published in the Journal of Biological Chemistry. – “Among the 600 genes we have found five that you can call anti-cancer genes”, Associate Professor Troelsen says. 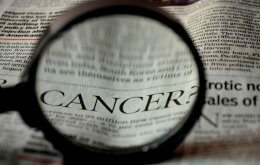 “We have also studied early stages of colon cancer. We observed that before the colonic cancer cells began to invade the tissue outside the colon, they deactivated the CDX2 gene, removing their “ID”. – “We are now applying for funds to study the properties of CDX2 that enable it to suppress colon cancer and to find a way of reactivating the CDX2 gene to allow us to halt the progression of colon cancer”.